To Download--save all download files on your Desktop. Finding your file later to edit it will be simple. 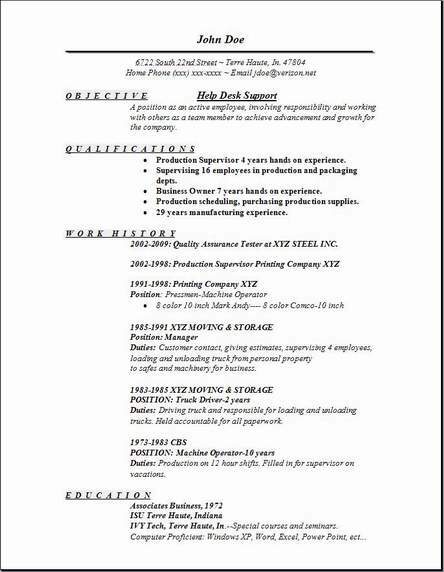 We supply you 3 of the most professional resume formats that are used the most for a resume. Please bookmark today so you can find us tomorrow. Simply open the file from your computer, then edit it, play around with many different styles, organize everything with bullets or not just to see what you can do with it. 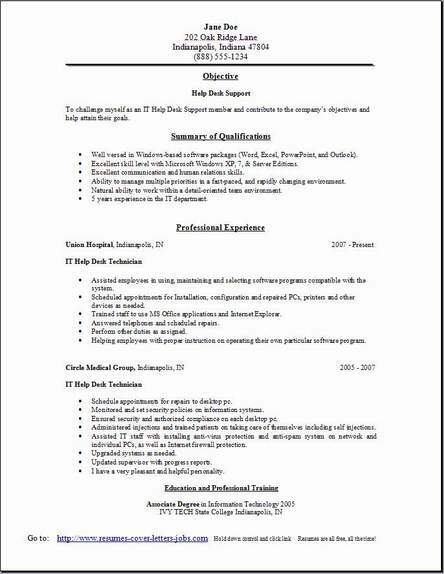 Yes,that's why you are here, so you can edit this resume with your own information, you can get a better idea of the look and feel of it. 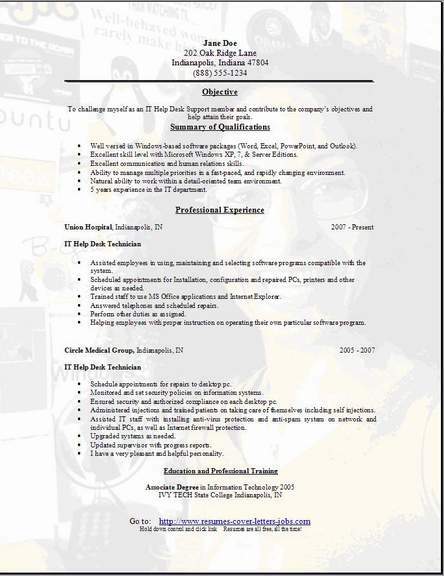 I hope you find these free help desk support resume useful. To help you out, visit some of my other pages and look at those examples to get some great suggestions on what to add. You must be able to relay instructions, information and ideas in speaking so others will understand you. It helps to have a pleasant telephone voice. Your basic software installation skills must be without error. You will need experience installing Microsoft Office & Windows XP. You need the abilities to perform all service patch testing and installations. You will need to have very effective communication skills. You need to be a quick learner and possess the ability to quickly learn new software. You will provide PC, WAN, and various applications support. Systems will include off the shelf applications like Windows Office professional. Answer computer operator questions about computer software and hardware operation. You will be resolving their problems, deploying all new systems, and help with ideas to increase operational efficiencies. 1. You will communicate daily with users and also conduct all computer diagnostics to help investigate and resolve all problems. 2. You will then provide any needed technical assistance also support. 3. Daily resolution of items such as password resets. 6. You will call in technicians or vendore to service for defective products. 7. Build and install different configurations of desktop PC’S.